Nothing succeeds like excess--at least that's the case with Queen's breakthrough classic, A Night at the Opera. On one level, the title is a reference to the band's operatic pretensions, best in evidence here on the classic "Bohemian Rhapsody," which was championed by headbangers a generation before being revived by the Wayne's World set. Of course, A Night at the Opera was also the title of a Marx Brothers movie, and the reference isn't lost on Queen, who seldom scaled the heights of pomprock without a knowing wink. The album is remembered for its meticulously produced bombast, but the truth is that there's a wide variety of material here, from the gorgeous piano-based "You're My Best Friend" and the McCartneyesque "39" to the music-hall-style "Lazing on a Sunday Afternoon" and the pedal-to-the-metal rockers "Death on Two Legs" and "I'm in Love with My Car." 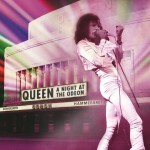 A Night at the Opera is viewed by most as the quintessential Queen album, and justifiably so. Queen: Freddie Mercury (vocals, piano); Brian May (guitar, harp, ukulele, background vocals); John Deacon (electric piano, acoustic & electric basses); Roger Taylor (percussion, background vocals). Recorded at Sarm Studios, Roundhouse Studios, Olympic Studios, Scorpio Studios, Landsdowne Studios, London, England and Rockfield Studios, Wales. Though they began their career practicing an artier, more theatrical variant on the Led Zeppelin heavy rock sound, Queen was always capable of much more. 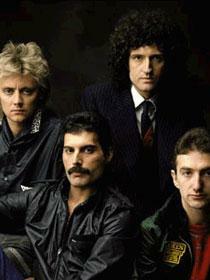 Ultimately, Freddie and the boys were popsters at heart, and capable ones to boot. A NIGHT AT THE OPERA is where they begin to show their eclecticism and compositional facility. 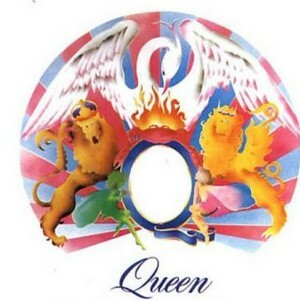 The album title is probably a reference to the FM rock anthem "Bohemian Rhapsody," which begins as an existential ballad before moving into a mock-operatic section featuring scores of overdubbed Freddie Mercurys. "Rhapsody" is just the tip of the iceberg here. "Lazing on a Sunday Afternoon" is a music hall ditty that owes a debt to the Kinks. "'39" is a surprisingly poignant folk-rocker written and sung by Brian May. "You're My Best Friend" is pure '70s AM melodic pop. Queen even ventures into vaudeville territory (given Mercury's show biz leanings, not as much of a stretch as one might think) on the fatalistic, old-timey "Good Company." There are several souped-up rockers here as well, but it's A NIGHT AT THE OPERA's winning stylistic experimentation that makes it a milestone in Queen history.